Tomohisa MUKAI, Hideyuki KINUGASA, Setsurou NOMURA：ENERGY BALANCE BASED SEISMIC DESIGN METHOD OF RC STRUCTURES CONSIDERING CYCLIC BEHAVIOR UNDER EARTHQUAKE. Proc.13th World Conf. 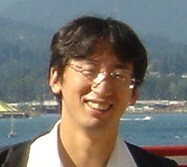 Earthquake Engrg.,Vancouver,Canada,2004.